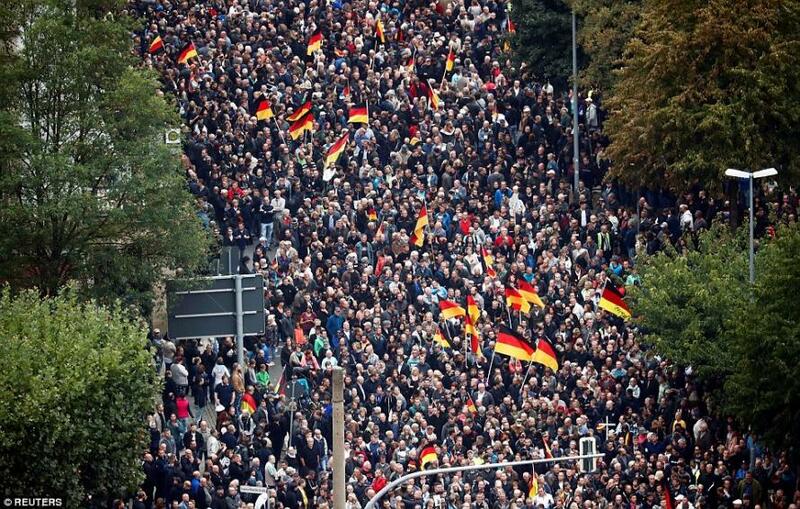 Angela Merkel's foreign minister effectively called Germans lazy for not counter-protesting thousands of angry East Germans who took to the streets of Chemnitz after two migrants were arrested in a fatal stabbing of a German man, reports AP. 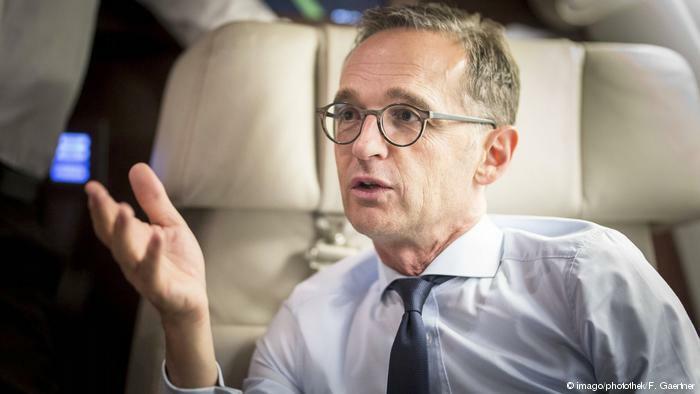 "We have to get off the couch and open the mouth," said Foreign Minister Heiko Maas in an interview with weekly paper Bild am Sonntag, adding "Our generation was given freedom, rule of law and democracy as a present. We didn’t have to fight for it; (now) we’re taking it too much for granted." 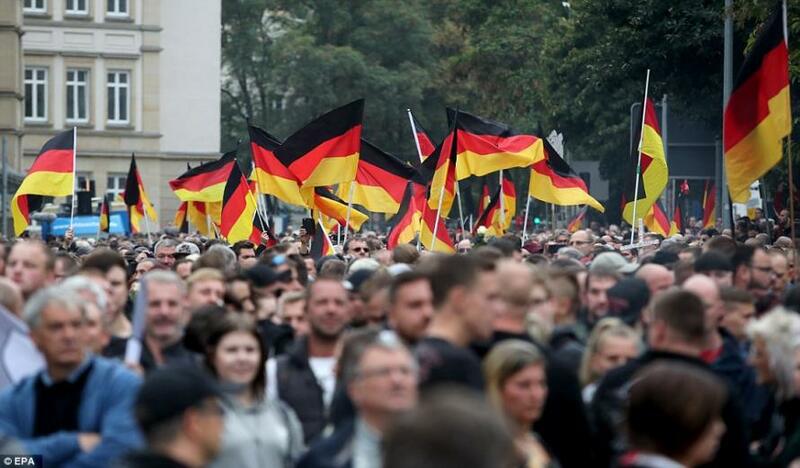 The demonstrators have been characterized by both German officials and the MSM as "far right" and "neo-nazis" whose protests are racist, after several people were seen giving Nazi salutes. 18 people, including three police officers, sustained injuries during the rallies - while demonstrators clashed with the few counter-protesters who did show up. Some 300 people were arrested, while 11 were hospitalized. “If the Hitler salute is shown on our streets today once again, it will be a disgrace to our country,” said Maas. Tensions flared lsat week over Merkel's 2015 open-border policy of allowing a million asylum seekers into the country, after 35-year-old German carpenter Daniel Hillig was killed last Sunday. Authorities arrested two men in connection with the stabbing; 21-year-old Yousif Ibrahim Abdullah - who was slated for deportation in mid-2016 only to have authorities miss a six-month deadline to do so, and a Syrian man. The murder sparked an initial protest in which several people were arrested and injured. Saturday's march was led by members of the AfD party, which is staunchly opposed to Merkel's open-border policies. Right wing groups such as PEGIDA also said they participated in the march to mourn Hillig's murder after the leaked arrest warrant revealed that the suspects were illegals. AfD and PEGIDA leaders wore dark suits and carried white roses as they began what they referred to as a "mourning march" on Saturday night. Leftists began to counter-protest on the other side of town, marching under the slogan "Heart instead of Hate," in the center of Chemnitz - known as Karl-Marx-Stadt during the Cold War.